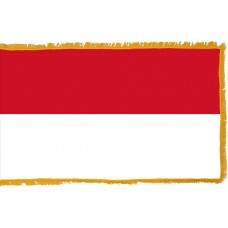 The Monaco flag consists of two horizontal bands in the colors of red and white. 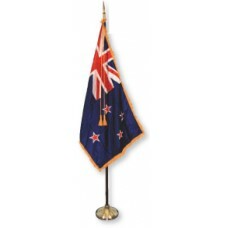 The top half of the flag is red and the bottom half is white. 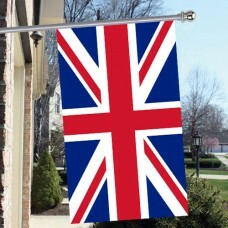 The red and white colors have been the colors of the Grimaldi Family since 1339 which makes it one of the oldest flags, even though there have been variations of it throughout the years. The red color represents the flesh of the body and the white color represents the purity of the soul. The current Monaco flag was officially adopted on April 4th, 1881. 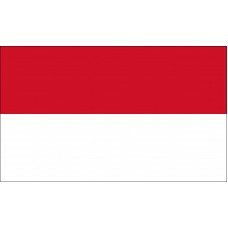 The Monaco flag holds a strong resemblance to the Polish flag and is identical to the Indonesian flag except the Indonesian flag is wider. Monaco, which is officially referred to as the Principality of Monaco is the second smallest country in the world, following the Vatican City. It is located in Europe and is bordered by France on three sides and the Mediterranean Sea. Monaco is divided into four states, which are, Monaco-Ville (also known as Monaco City), La Condamine, Monte-Carlo, and Fontvieille. The oldest part of Monaco is 'Le Rocher- or the Rock of Monaco which is the rocky point between Monaco's port and Fontvielle. It is thought that it was here that Hercules constructed the ancient path between Spain and Italy and it is here that ancient people sought shelter, mainly the Ligures who emigrated from the Italian City of Genoa. Moanco was part of the Roman Empire until the Romans handed control to the people of Genoa in 1191. In 1215, the construction of a fortress at the top of the rock began and this is considered to be "the beginning of Monaco's modern history." In 1297, the Grimaldi dynasty began following Francois Grimaldi seizing the fortress whilst he was dressed up as a Franciscan monk. Monaco has remained under the control of the Grimaldi family since then apart from 1789-1814, when Monaco was under French control. It has recently been agreed that if there are no more heirs in the Grimaldi family, then Monaco will still remain independent, rather than returning to the control of France. Monaco is one of the richest nations (30% of the population was declared a millionaire in 2014) in the world and it attracts approximately 1.5 million tourists a year. Tourism is the main industry and what Monaco's economy is heavily reliant on. It is very well known and renowned for its casino in Monte-Carlo and the two annual car races held there – Monte Carlo Rally and the Monaco Grand Prix. Great and small people have always respected them.